Jamaica says its tourism sector is experiencing an unprecedented start to the year with record breaking arrival figures and earnings. 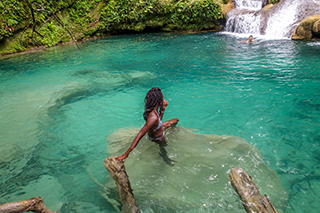 In just nine weeks since the beginning of 2019, Jamaica says it has become the first Caribbean destination to welcome one million visitors during the period, generating foreign exchange earnings of approximately US$800 million. “Jamaica continues to make an aggressive push in transforming the way we market the destination and we have been seeing the dividends,” said Donovan White, Jamaica’s Director of Tourism.